**You do not need to purchase the item on B&N/Nook to leave a review. 2) Create an account with B&N. Do this by clicking on the “My Account” at the top of the website, then click on the “Create an Account” button and follow the steps. 3) Click on the “My Account” button, and then sign in to your new account. 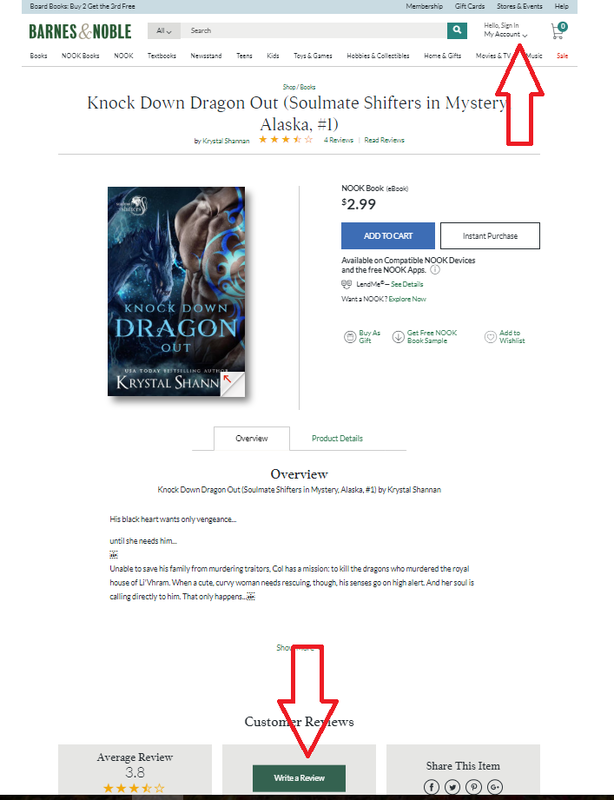 4) Find the book you want to review on B&N via the site search engine. 5) Scroll down to locate the “Write a Review” button. Click on the hyperlink to post your review. 6) Fill in a star rating, review headline, review text, etc. 7) Click on the “submit” button. 8) To document your review, capture a screenshot by clicking the PrtScrn button on your keyboard. For Macs, press Shift-Command (⌘)-3.